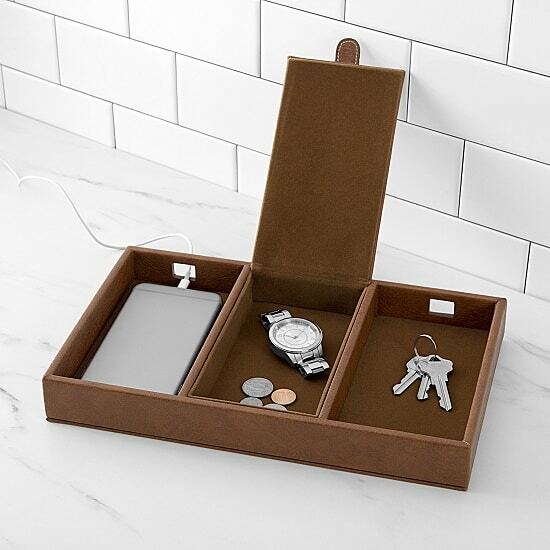 Organize like a boss with our vegan leather charging station. It includes two charging ports and three total compartments for his phone, wallet, cords and more. 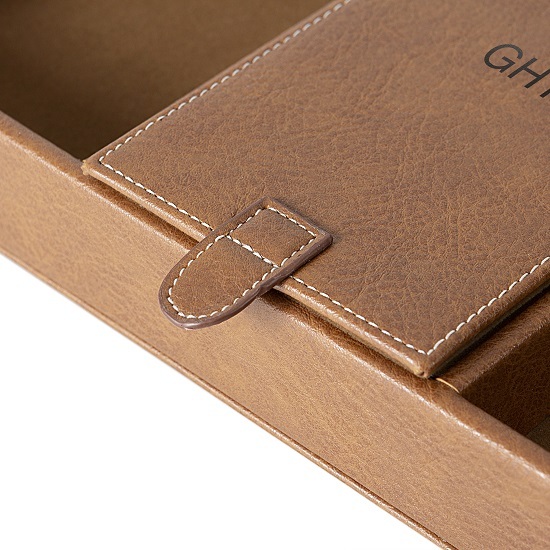 Free Personalization: We’ll engrave up to three initials for no extra cost! Get your guys a gift they could really use with our Personalized Desktop Charging Station & Organizer. Created in a warm cognac color and constructed from vegan leather, this valet tray is lined with felt and includes two charging ports, two open compartments, and a closed compartment, secured by a magnetic closure. The station may also be personalized with up to three initials at no additional cost! 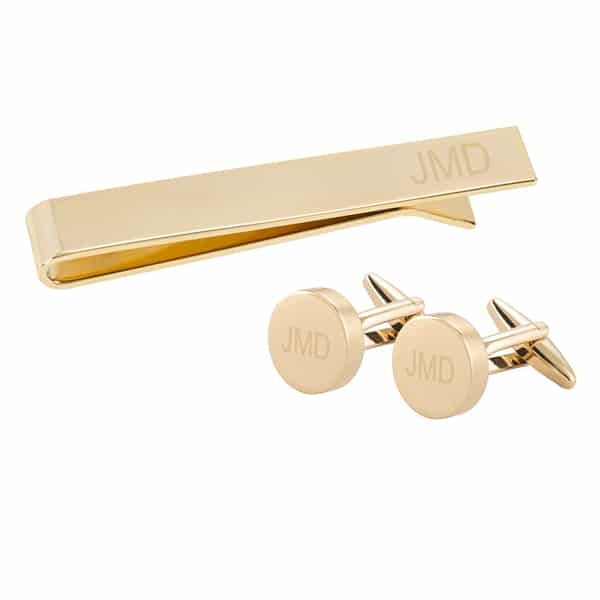 Get one for all of the guys in your wedding party, and (there’s at least a 50% chance) they’ll never lose anything again! 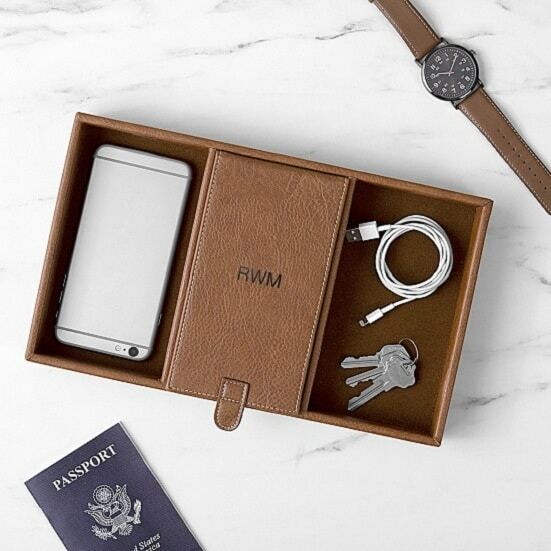 Two charging ports, two open compartments & one closed compartment. 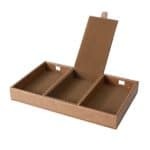 Valet tray: 12" L x 7.5" W x 1.625” H.
Open compartments: 3.75" L x 7.5" W x 1.625” H.
Closed compartment: 4" L x 7.5" W x 1.625” H.
How can I clean the organizer? Wipe clean with a soft cloth. We do not recommend using cleaning products. Your employee, Heidi, did an amazing job. It's a pure delight anytime I have the pleasure of dealing with a true professional! Because of her customer service alone, I will definitely use your company again!